This years we participated in the Xmas Card Swap hosted by Amy over at Love Made My Home, everyone was paired up with another random participant to swap with and our card came in the post this week. 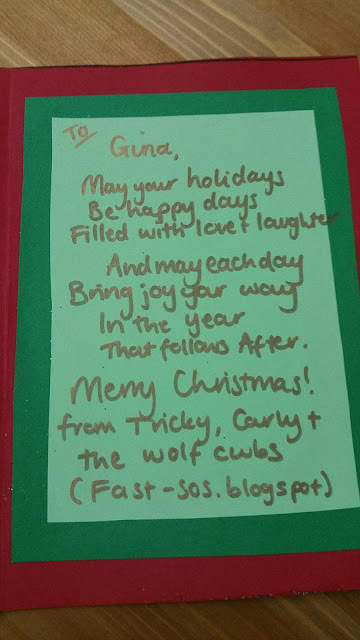 Luckily I did warn Gina in advance that I've never made cards before and that she was likely to receive something monsterous and covered in glitter after me and the kids were finished with it! We had so much fun making them and receiving the beautiful card from Gina, I think we'll be joining in with more next year! Hope everyone is well and gearing up for Yuletide! It's been a lovely swap to join hasn't it? oh there was plenty of glitter, its gotten everywhere, I suspect there will still be some of it around by next christmas! The best Christmas Cards are always the one's people make themselves. The other kind ,from the store, most folks just shake to see if money falls out, then they throw them away. 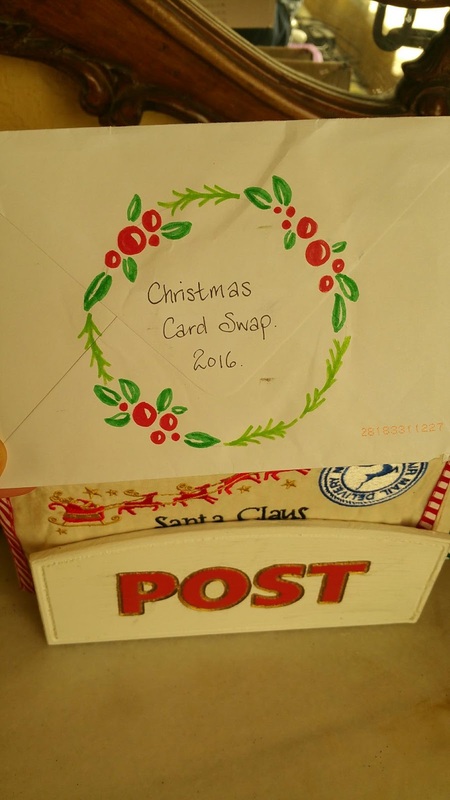 Swaps are wonderful at any time of the year but Christmas card swaps are a great idea. Good effort, too. Your cards are wonderful!!!! 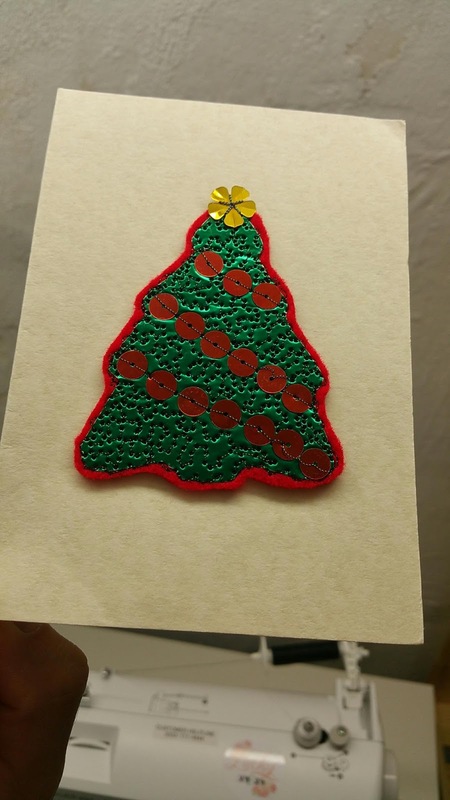 I think you made wonderful cards and I can see many more of them in the future for your family. 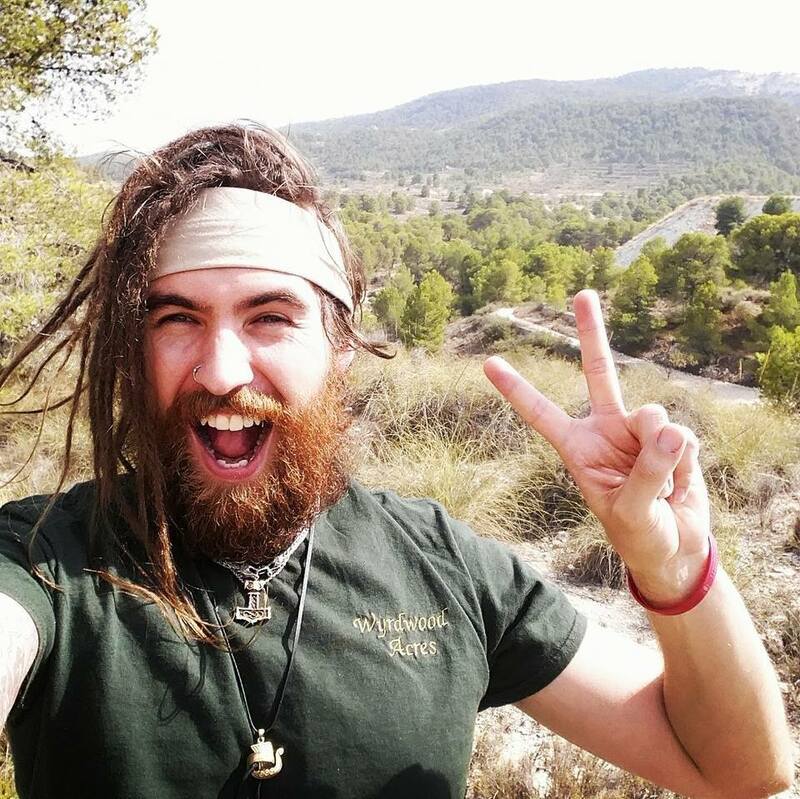 Thank you for taking part and having such fun with this!! our pleasure Amy, thanks for hosting! Such a terrific idea. And though most people claim they are not artists, there sure are some creative works. 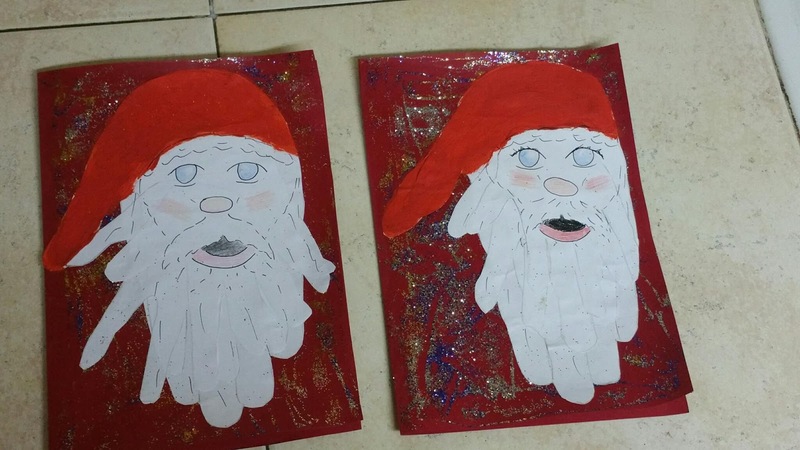 Love the idea of the Santa beards made of hands. Lovely! Wonderful cards - both the one given and the one received! It's a lot of fun to make them. I had a great time participating. 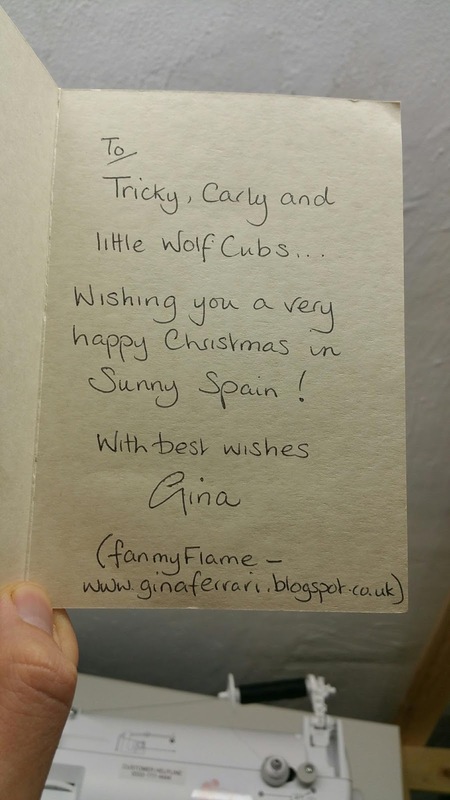 Awww so lovely - and that you made an extra card for Nanny too. 'S'pose you are busy making your Happy New Year cards now you are on a roll?! Running quickly before you throw a mince pie at me! !